Best ever gaming laptop with high end graphics & amazing performance. The MSI giants have tried to make something that they have made never before. The newly launched MSI GT70 is the ultimate gaming laptop that have been improvised and brought out with a new look and feel. The MSI GT70 is considered as the first of its kind of gaming laptops that runs on Haswell. 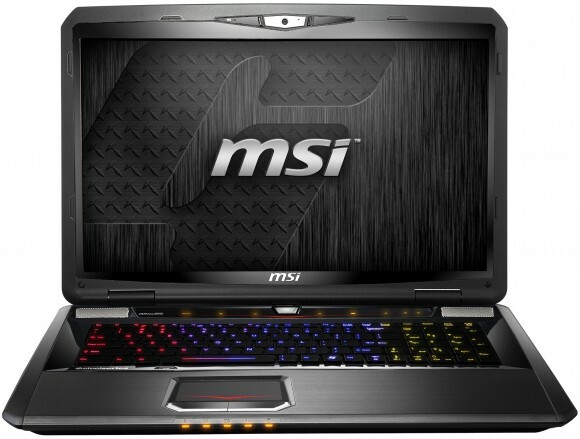 The MSI GT70 dragon edition has swathed through the company’s previous edition to give it a comprehensive new touch. The latest gaming laptop from MSI, the GT70 dragon edition has a 7 inch screen; it has all the need trappings that were there in its predecessors. The newly released gaming laptop, MSI GT70 is considered to be a total re incarnation from its flaws that it had in its previous laptops. The laptop is priced at $2,799. The gaming laptop is assumed by many as the first of it’s that has come up with features of quad core processor with forth generation CPU of Intel Haswell. The gaming laptop, is also equipped with the latest chip of GTX 780M, which was reportedly announced as one of the fastest running computers in recent times. The MSI team is full on focusing on making the latest released their finest in areas of graphics, performance and longevity in relation to strong battery running capacity. The brand new gaming laptop from the MSI has upgraded the operating system; worked the port tweaks and lastly gave in a new theme. So let us take a look at its features. • Design: It can well be assumed that the latest gaming laptop, MSI GT70 is dipped in the Targariyen color of dragon fire. The MSI GT70 has a lid coated with red color to give a sporty look to the limited edition. But we can cherish the classy look until we look at the thick black bands that are made of plastic. This is a drawback of the design as if it was made of full aluminum then it would have attracted more. The MSI GT70 possesses capacitive facility touch screen functionality. The notebook has a rarely big silver button that is used for the purpose of power generation. • Display: In design the first thing to speak about is screen, it has full high definition clarity screen of 1920×1080. In display it appears a lightly smeared and muddy when seen through a darker eye. But the color compatibility is a reason of drawback, as the MSI wanted to make it rich in graphics, but failed to give stress in color. When tried to configure the color settings through the system administration, the result was no different. The pictures seemed to fade in glossy touch. • Audio: The latest released gaming computer has a great sound effect. The audio functions are great and fuller to drench oneself in the room of music. The dialogues that were coming out from the audio system of the latest released gaming computer are quite crispy and nice to hear. The sounds in the audio system carried a lot of weight, any music be it a rock or soothing melodies all had a lot of clarity, it had a strong balance of sound and the sound upbeat and lively to a great extent. • Keyboard: The island type of keyboard, the MSI GT70 has lacks in a bit as flex in it. But if that drawback is kept in the sideline then we can proudly say that the notebook delivers a very good typing speed. As the keyword has the addition of number pad in it, thus it has reduced some space for the back space key and right shift option. Although the keyboard has aluminum casing but it has no way hindered in the palm resting function, as this is quite comfortable and spacious. • Longevity of the battery: Though gaming laptops and notebooks have the tradition of being on the lower side in matters of battery life, but the latest launched GT70 has fourth generation power of processor which can enhance the battery lasting. At the battery testing zone it has been seen that with all the functions running the battery gives a power of 4 hours and 30 minutes. Thus, with all these specs if you feel interested you can grab the laptop today.